SHURflo is known for a full line of agriculture pumps and related accessories for the needs of a wide range of growers, from homeowners and hobbyists to commercial and industry professionals. 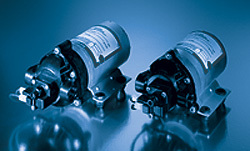 Feature loaded SHURflo pumps are the first choice for innovative design and dependability. SHURflo diaphragm pumps are SHURflo’s most popular pumps for agricultural sprayers. Features include an attractive molded assembly, versatility, and reliable performance in both moderate pressure and high flow applications. These SHURflo pumps are available in chemical resistant materials, making them suitable for a broad range of equipment use. 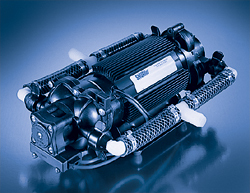 Superior features and performance are standard with SHURflo power twin pumps. Among the most efficient self-priming pumps in the industry, the high flow power twin pump is ideal for spraying and transferring applications. Features also include quiet, balanced operation, thermally protected motor and a long life pressure switch. 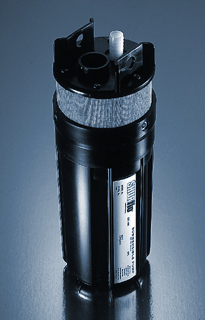 An effective option for remote water needs, the SHURflo submersible pump is durably built to last. The unique design of this SHURflo pump includes a water-blocked cable connector. Because it this feature resists water leakage and condensation issues, the SHURflo submersible pump is ideal for watering and irrigation applications. From pumping water to changing oil in farm equipment, SHURflo flexible impeller pumps are designed to perform in a variety of applications. These SHURflo pumps incorporate thermal overload protection. Also available is a premium SHURflo model that allows flow reversal with a built-in switch. SHURflo SLV series pumps are an excellent choice for low volume intermittent duty functions. 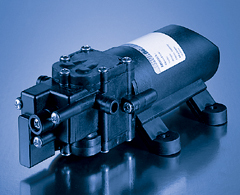 Applications requiring low power consumption and a compact sized pump are ideal for SHURflo SLV series pumps. Since these pumps have no metal in the path of fluids, they assure optimal chemical resistance. These SHURflo pumps are suited for transfer and low volume spraying applications, offering both high performance and cost effectiveness.